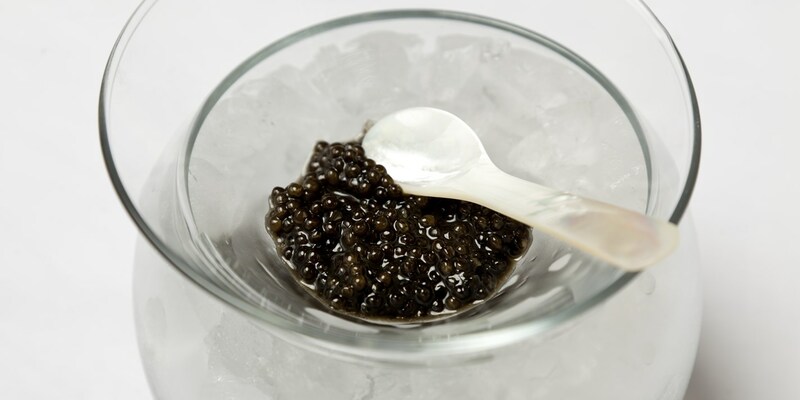 Caviar is salted and matured eggs usually from a female sturgeon, traditionally found in the Caspian Sea. It has become a real delicacy, with Beluga caviar topping the foodie rich list. Traditional served with other fish and seafood to intensify the depth of flavour, Robert Thompson serves caviar on blinis with citrus-cured sea bass to make a delectable canapé, while Luke Tipping uses the delicacy to garnish cured salmon and Tom Aikens prefers it alongside scallop ceviche.